Be sure to sign up to my New Moon in Aries Virtual Ritual. Uranus, The Fool, just entered into Taurus, shaking up the system and showing us what needs to be improved on a very sensual level. Read more about Uranus in Taurus here. With Mars in Gemini, we can see more energy in communication, delivery, and transportation of chi between people. Watch out for negative thinking, please! Gemini can be extremely mental and Mars will just turn up the ego’s chatter! Vessel Building! We will be encouraged to release identities that separate us from each other too. Mars impels us to break down ego, and when in Gemini, it will do it within our relationships and in our choices. This means that we, and everyone else, might be rash or aggressive with their choices as if acting out like an immature child. Or that we need to face the consequences and the realities our choices have rendered. As we are entering into the month of Aries, be sure to download and install the Aries wallpaper for your phone and get some color therapy to help you bring out the best of the month. Also, did you know that every plant is ruled by a planet and constellation? Yeah! 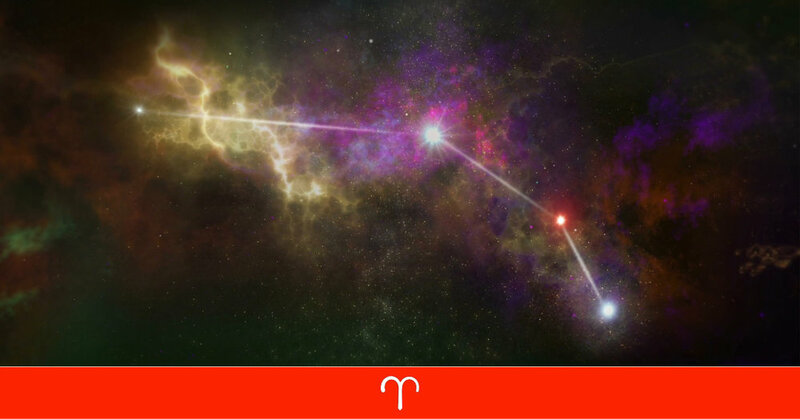 So, you’ll want to use the plants that were created to harness the constellation of Aries and overcome the negative influences the archetype can throw at us with the Aries Essential Oil Blend and Astro Spray. Gemini rules over the lungs, so we might need to focus on our breath as chi enters our body through the Gemini meridian. Anyone with asthma or respiratory issues should focus on keeping these parts well. I offer some amazing essential oil blends such as respiratory system and asthma or a multivitamin that specifically targets the lungs. Meditate, breathe and get lots of fresh air. Relationship issues, often find their way into the lungs and are often the source of any issues with breath or lungs. The Lovers archetype can also be clouded with smoke, masking the true nature of each person. Smoke is an element of judgment which can put us into delusion, Mars is going to clear the air so get ready to see what shows us. BTW: if you smoke, talk to me about the above products. To get a clear idea of what this spring season will look like for you, get a chart reading with me. I offer short Lunar Return Readings which are very specific for 29 days (it’s like a more detailed version of a lunar return as the shorter the session, the more specific it is.) I can record it and send it to you. You can also book an Astrolochi® Balancing in with me to help with the transits of your chart! They can be done remotely as well! Again, we are in the Age of Aquarius, the Age of Information which gives us the ability to know everything about anything! The only caveat is that it isn’t “for free”. Meaning, that in order to really receive information and integrate it, we need to pay for it. This is how we create a vessel, otherwise, it remains intellectual, an accessory to the mind. I hope you have found this complimentary forecast useful and insightful. If you want to receive it on a deeper level and support my work, consider a donation. Sunday: Today is the final day of the 12 Days of Aries. Make it a good one as Pisces holds the entire accumulation of the Zodiac. It’s the Omega of the Alpha! Monday: Don’t get fooled! The Moon is in Aquarius, aligned with The Black Moon. Watch out! If you feel like an idiot, it could open doors to greater negativity. Only egos can’t laugh at themselves. True humor is healing, not sarcastic. Tuesday: Mars is now in Gemini destroying all notions of hopelessness. Mars wants us to find the space between the thoughts and will clear a way for us to fight off negative thinking. Breathe! Wednesday: Mercury is still aligned with Neptune, giving us some powerful creativity and imagination. We need to turn on our heads to really get any ideas worth pursuing. Thinking outside of the box is the only way to look for something new. Thursday: Today, the more pressure and burden we have the more we build our vessel to receive more fortune and blessings in our lives. Energy wants to flow into something that can contain it, not into something that will crack. Be strong and hold down the fort! Do it with love! Friday: Venus, Neptune, and Mercury are joined in dreamy Pisces giving us a mighty warp forward. Prophecies, parallel universes, and teleportation are all possible. Don’t freak out if, and when, things shift right before your eyes. Know that there is a greater picture and a bigger plan. Be calm and allow yourself to be small. Saturday: As the South Node, Saturn and Pluto conjoin in powerful Capricorn, we, as a collective, need to release our greed in order to manifest wealth. We need to see what our individual part is so that we can contribute light to the collective. Try not to focus so much on what other’s have done and just start with yourself. It’s the best way!